S 500 x 304px 0.5 Mb. M 1000 x 608px 2 Mb. L 2000 x 1216px 8 Mb. XL 5172 x 3144px 15 Mb. Picnic on the Beach. 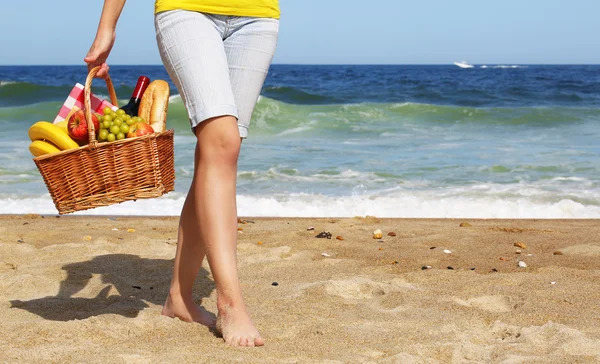 Female Legs and Basket with Food on on the Shore.